Unlike many portable players that include a balanced headphone output and claim to be able to drive every transducer that anyone has ever placed on his head, the Astell & Kern AK Jr is designed to power reasonably efficient headphones. Couple it with one of the many headphone options available in the $300 to $500 range, and for under $1000 you too can have a wonderful portable rig that delivers superb fidelity and simply slides in your pocket without any unsightly bulges. Indeed, the only things that are really junior about the AK Jr are is its size and its price. These slick, high-resolution players were hard to fault in their Mk I versions. 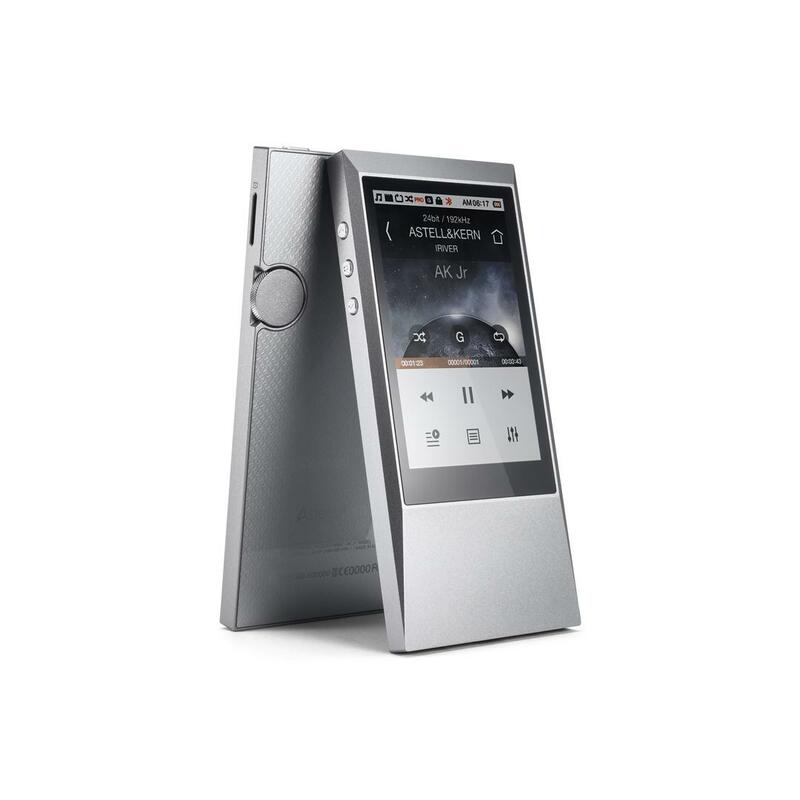 Both models brought true high-end sensibility and performance to portable music—a liberating development. Once you have held high-res in your hands, you will never settle for less. As good as the AK100 was, the dual-DAC AK120 was even better in purity, air, and bass. The Mk II versions, though more expensive than their predecessors, outdo both in every way. Each supports streaming audio from a PC, as well as DSD playback. And each has exchanged its Wolfson DACs for Cirrus Logic units. The swap yields a significantly quieter background with even greater purity and resolution. 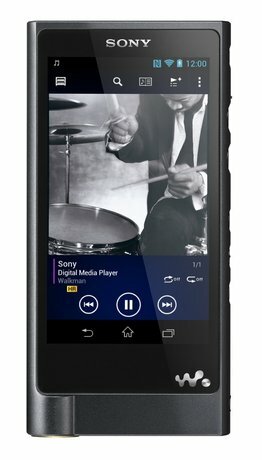 Onkyo’s DP-X1 offers a unique set of features and capabilities at a highly competitive price. It uses two amplifiers and two digital/analog converters to deliver a true balanced signal. While the DP-X1 may not be quite as disruptive a new technology as MQA, it does call into question why, except for aesthetics or ergonomics, anyone would choose another player if his budget maxed out at under $1000. Reviewer Steven Stone predicts that Onkyo will sell a lot of DP-X1 players because it is currently the best value out there in flexibility, functionality, and sound. Sony, which created the first “Walkman” portable player, has been involved with portable audio since its inception, but lately has not been the dominant player it was in the early days. This could change with the NW-ZX2. 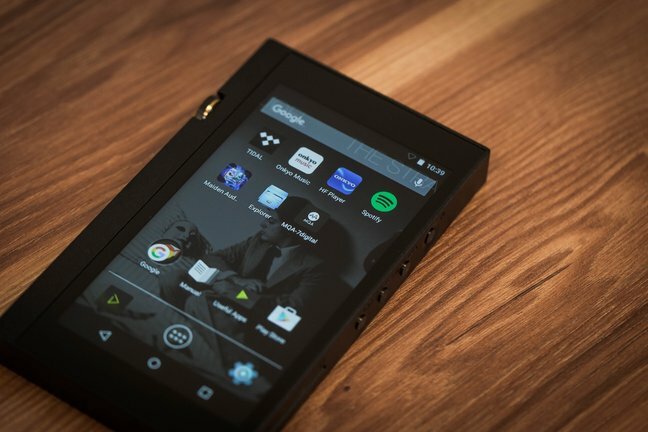 This Android-based player can reproduce any commercially available music file including DSD128; plus, it also plays videos from uTube, Hulu, and Facebook. If you had any doubts about Sony’s commitment to high-quality audio, the NW-ZX2 will put them to rest. It delivers excellent sound, and looks, feels, and responds like a high-performance product should. 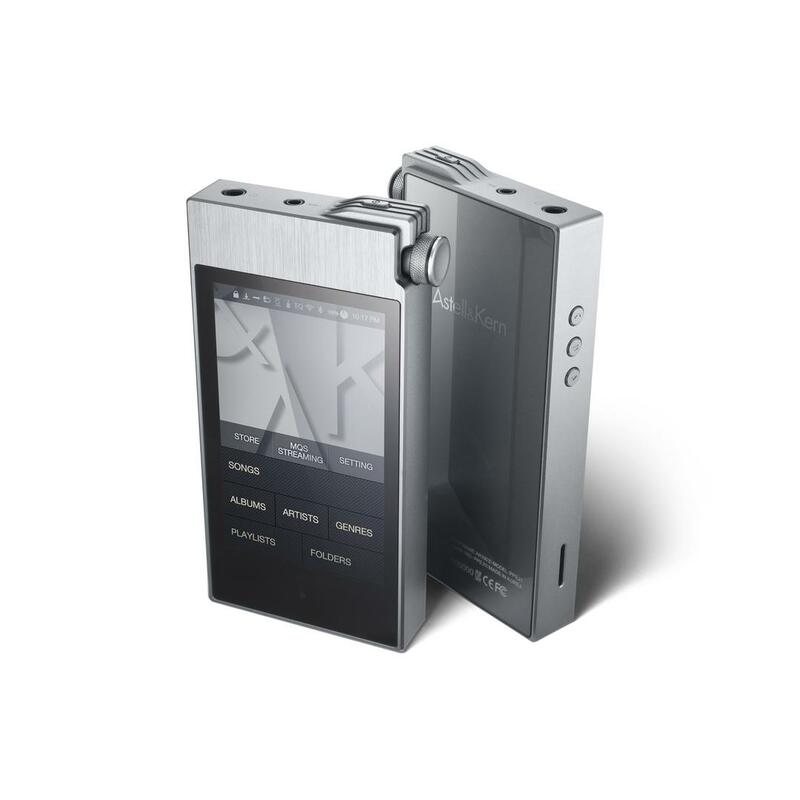 The AK240 was AstellKern's first flagship player. 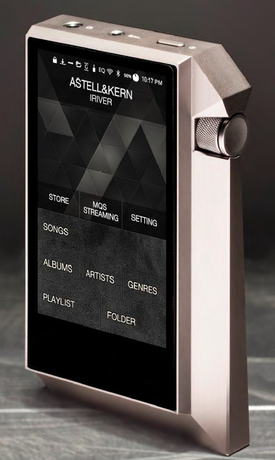 Not just a player, it is also a USB DAC and WiFi and Bluetooth streaming device. 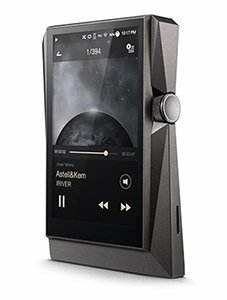 And unlike most streaming via Bluetooth, which goes from your smartphone or player to your home music system, the AK240 also streams from your home computer’s music library to the AK240. With the AK380, A&K has created a flagship that transcends the genre of audiophile-quality portable players. To be sure, the device delivers superb sound—the best AT has heard from a portable player—via its duel AKM DACs with 384/32 PCM and native DSD support. Additionally, through a set of optional dock and peripheral offerings, the AK380 can rightfully serve as the digital front end to any hi-fi system. When fully accessorized, the fully balanced AK380 can rip CDs, wirelessly stream music from a DLNA NAS drive, and send the analog output of its formidable DACs through XLR connections. Replete with ample storage, a large bright display, and stunning sound, the AK380 is the portable player to beat.